Breast enhancement surgery, also known as augmentation mammoplasty, is the restoration of breast volume lost after weight loss or pregnancy. It is the surgical placement of breast implants to increase or give fullness and improve evenness of the breasts. When speaking with plastic surgeons about the work they do, they describe it in a similar way to most medical professionals. They do what they do to improve people’s quality of life and they get joy from the smile they put on the faces of their patients. 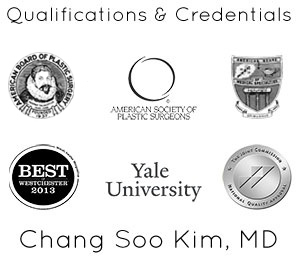 Dr. Lyon has started using Gummy Bear Breast Implants in Westchester and he describes them as one of the greatest leaps forward the industry has ever seen. The reason Dr. Lyon describes it as such is because of the many different aspects of control it gives him over the surgery and the results that the patients see at the end of the procedure. They results are more natural looking breast implants which makes it much easier for him to control the shape of the breast to meet the wishes and needs of the patient. 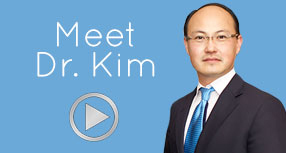 Gummy Bear implants are the implants he uses and recommends for breast augmentation and breast enhancement surgery at the Bellava Medical Spa in Westchester, New York. The tear drop profile option is more cohesive with the natural contours of the body which is one of the reasons they are recommended. They can be tailored to suit most body types and to achieve the desired look of the patient. Gummy Bear breast implants are also common in New York because they offer improved safety in comparison with other breast implants on the market. Risk of rupturing and leaking has proven to be much lower in Gummy Bear breast implants matched up to with saline or other silicone implants. They are manufactured in the United States and also have FDA approved status which means they undergo some of the most stringent quality and performance tests in the industry. Also, Gummy Bear breast implants are generally more cost effective than other options. The initial cost of the implants is often greater than that of competitors, but because of the longevity of the implants, they are a better investment in the long run. Normally, implants can be expected to last around 10 years, but Gummy Bear breast implants such as those used by Dr. Lyon in Westchester, New York, often last up to two and a half times longer than that. Dr. Lyon has been working in the industry for over 30 years and has completed thousands of successful surgeries. Breast lifts can often be performed at the same time as your augmentation or may necessitate a separate operation. Dr. Lyons will assist you in making this resolution. To get the most natural looking breast augmentation, breast enhancement or breast reconstruction, come in and talk with Dr. Lyon and his friendly team today. He will talk you through all that is required before and after your surgery, and make sure you completely understand the procedure.